Nevada Republican Sen. Dean Heller touted his good relationship with President Donald Trump while debating Democratic Rep. Jacky Rosen Friday evening, even though he said they “fought like cats and dogs” at first. Trump will campaign for Nevada Republican candidates in Elko, Nevada, Saturday. Rosen responded by talking about Heller as a “rubber stamp” for Trump multiple times. Heller is the only Republican incumbent senator running for midterm re-election in a state that former Secretary of State Hillary Clinton won in the 2016 presidential election, according to Ballotpedia. 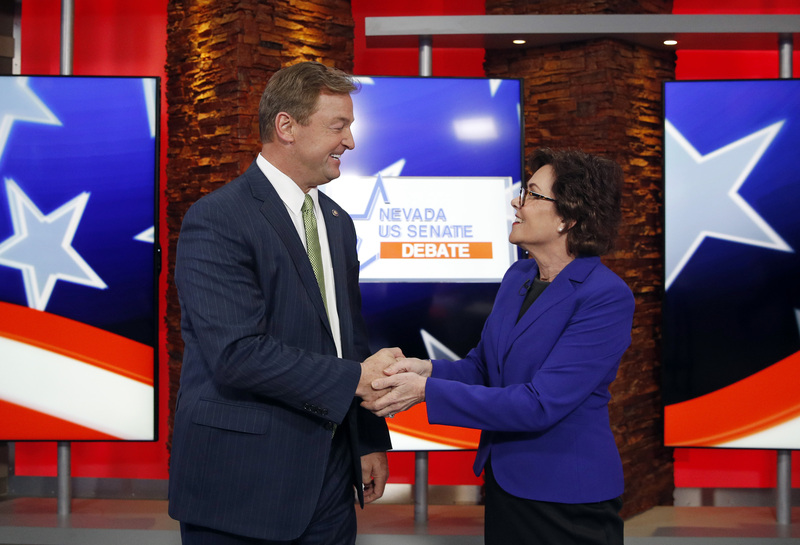 A mid-October poll showed Heller with a healthy lead over Rosen, although his lead over the Democrat has been within the margin of error in several previous polls. The race is rated as a toss-up by RealClear Politics. Rosen is a first-term congresswoman from Nevada’s 3rd congressional district.